We’ve all been there right? 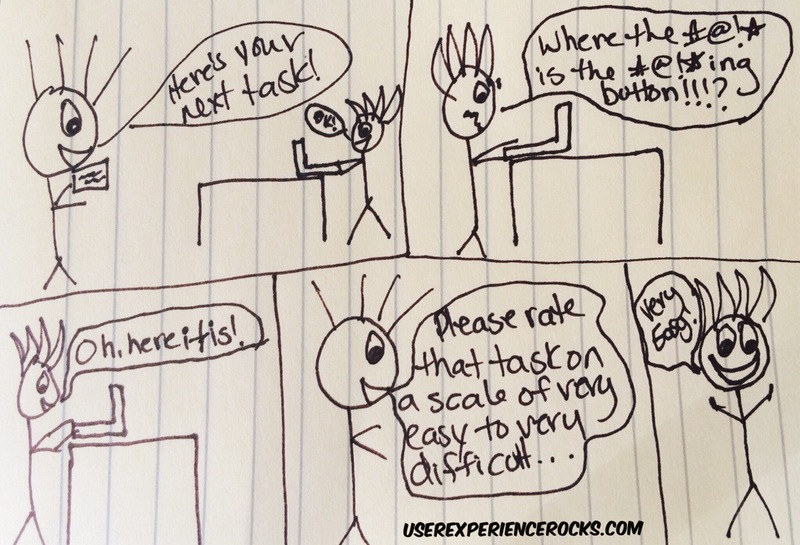 You’re conducting a usability test, and your tester is slamming the mouse around angrily until he or she FINALLY figures out how to complete the assigned task. Then, when asked to rate the task, the tester smiles politely and says it was “easy”. It’s obviously not true, but if you don’t record audio and video, and only go on tester rating, you’ll never know to fix the issue. Audio and video allow you to look past verbal responses into what is really going on with your testers. You can look for facial expressions relating to frustration and anger, listen for under the breath profanity, and just generally get a more holistic view of how your testers really feel. Not recording tester audio and video does you a huge disservice. Give it a shot. It’ll help you uncover the testers who are lying, consciously or subconsciously, and will give you better data.